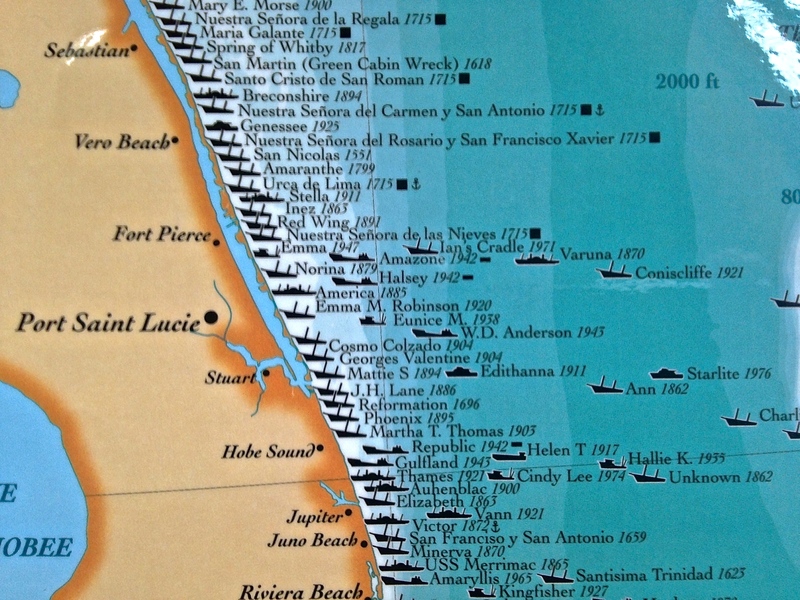 Florida cross-state and coastal-route compared, 1937. 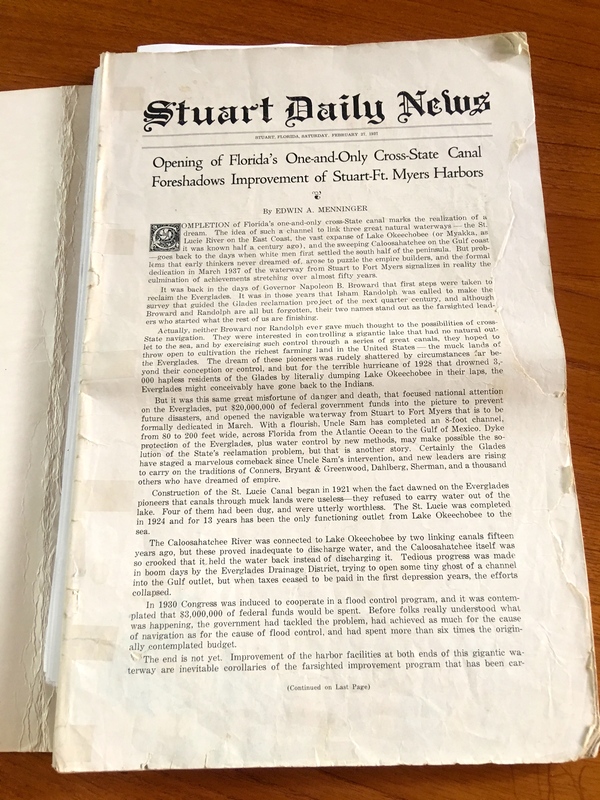 Today we study page five of the historic 1937 Stuart Daily News. 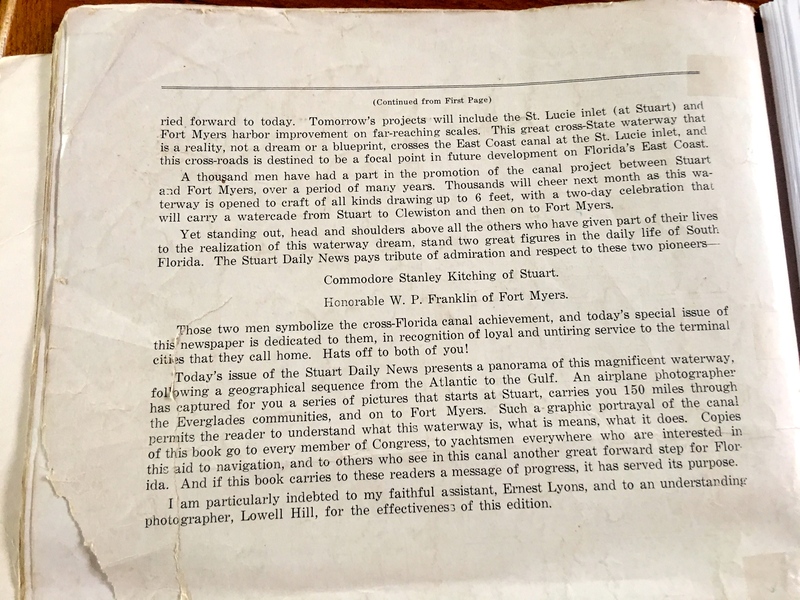 A message at the top of the page “invites participation” in a celebration, both in Stuart and Ft Meyers, for the completion of the cross-state canal. 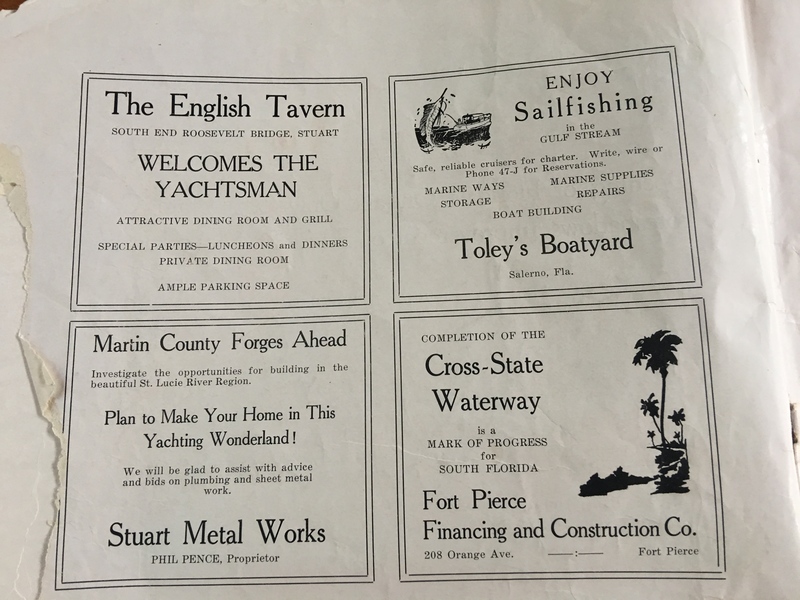 This was a celebration of navigation and the commerce and growth it would bring to these areas. 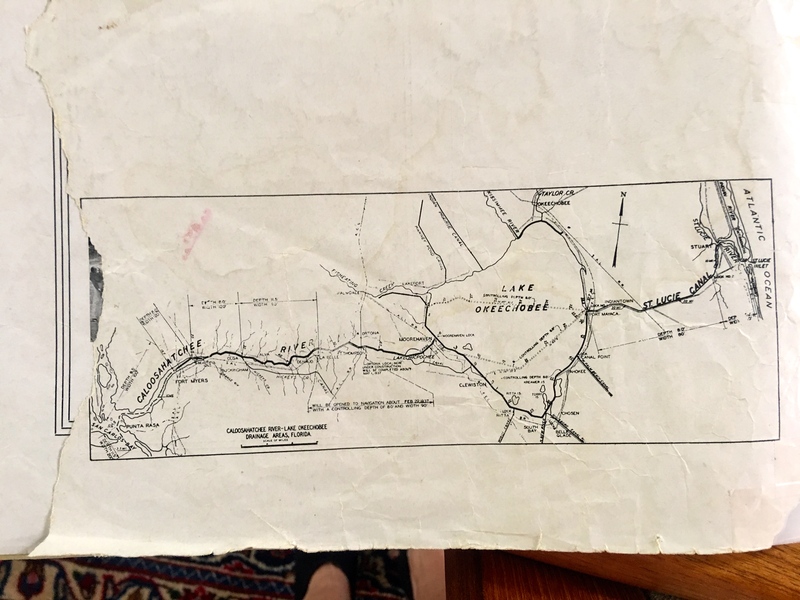 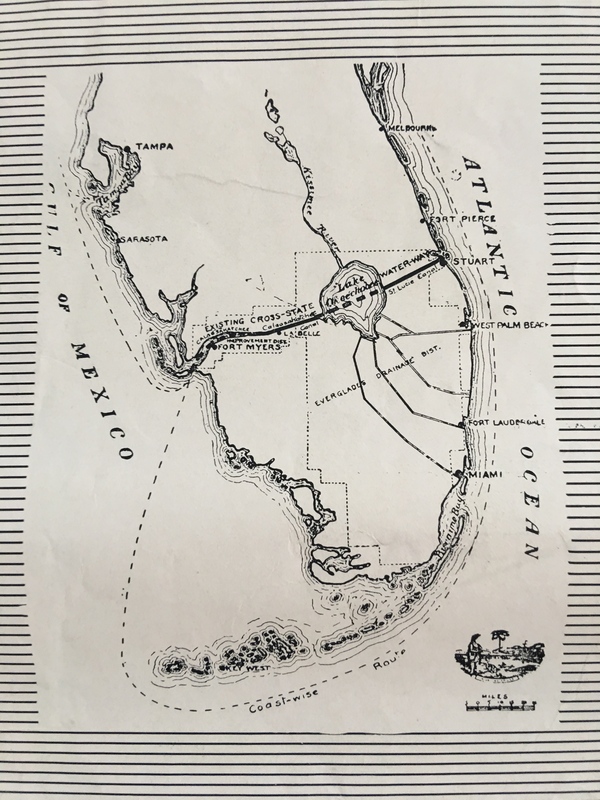 As we know today, this cross-state canal is not just used for navigation, but also to drain Lake Okeechobee. 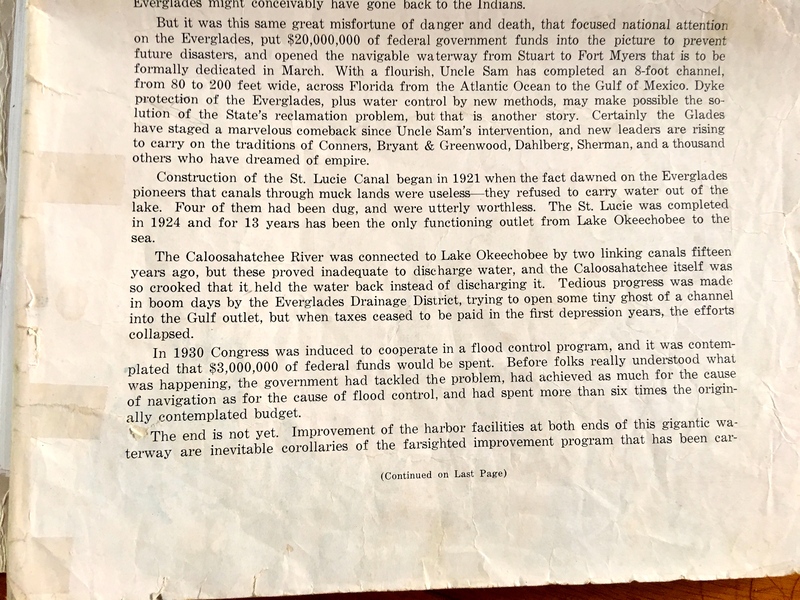 So perhaps the opening of the cross-state canal in 1937 was the beginning of “shared adversity” or shared destruction of the two coasts as it was not until 1937, after great investment by the Federal Government, that the Caloosahatchee River finally had a “navigable channel 7 feet deep and 80 feet wide,” before that it was very limited. 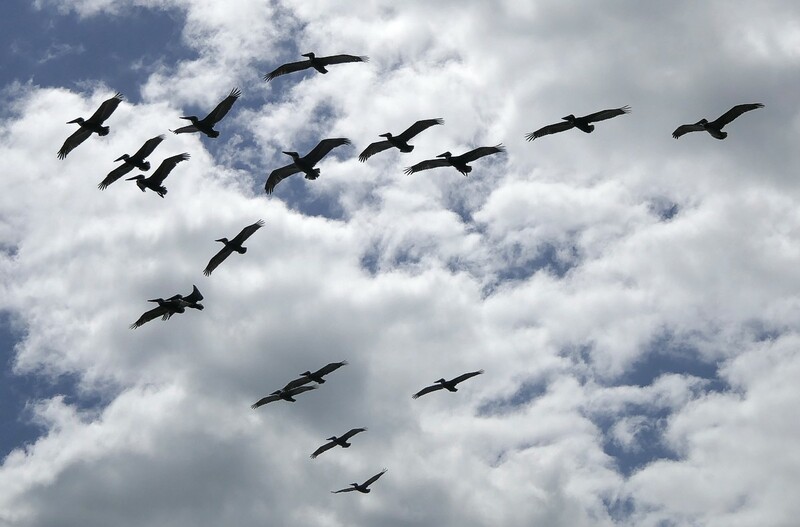 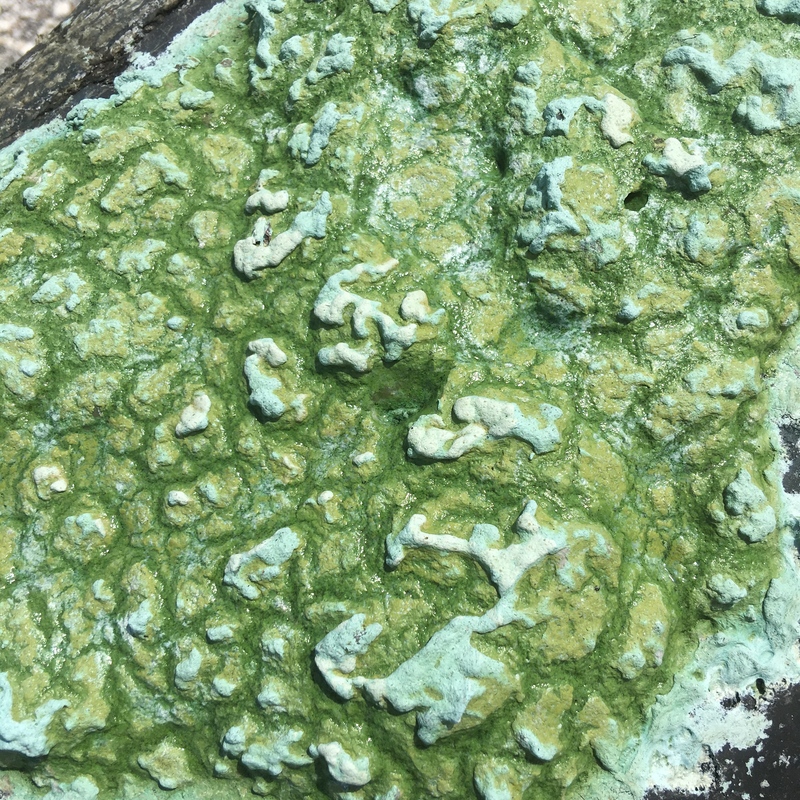 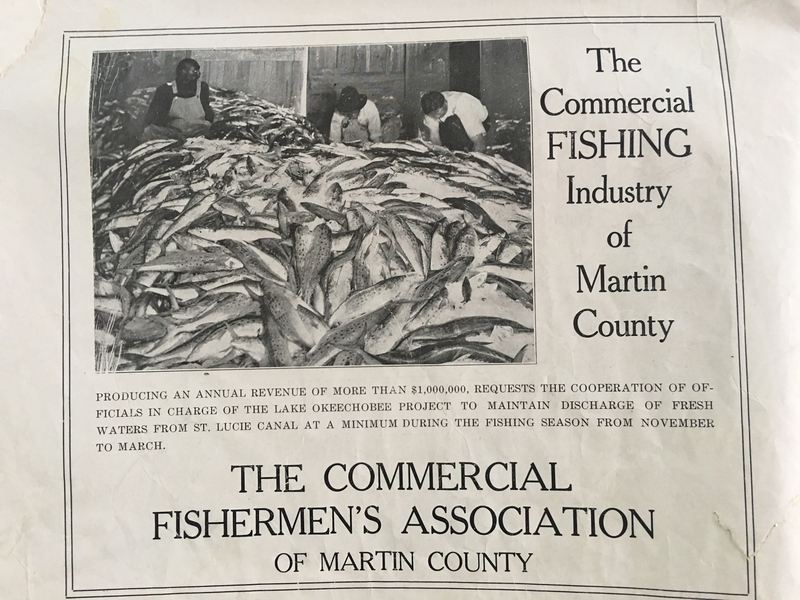 Considering that today the poor Caloosahatchee takes about two-thirds of the water drained from Lake O, we here on the east coast have to consider the possibility that if the “improvements” of the 1937 cross state canal were not done, the St Lucie might still be taking 100% of Lake O’s drainage water! 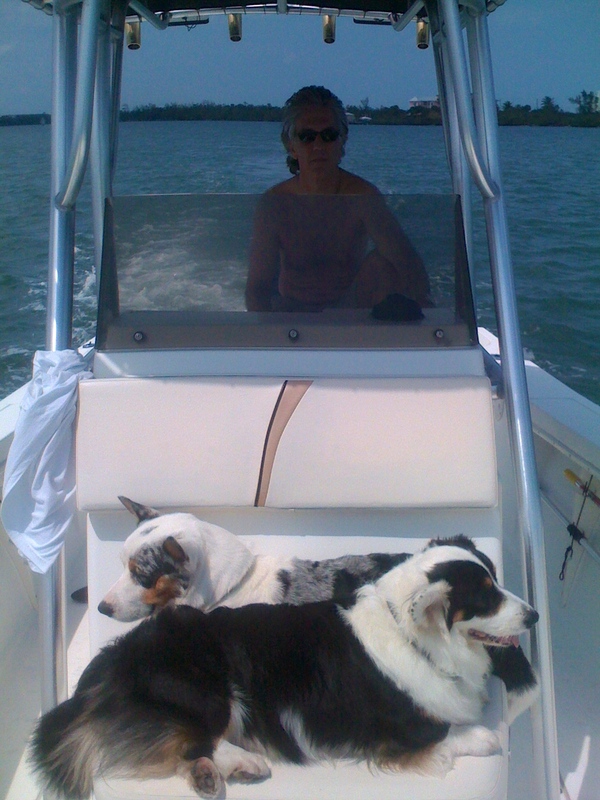 Ed, Bo and Baron ~St Lucie River on way to Lake O – Cross State Canal trip 2009. 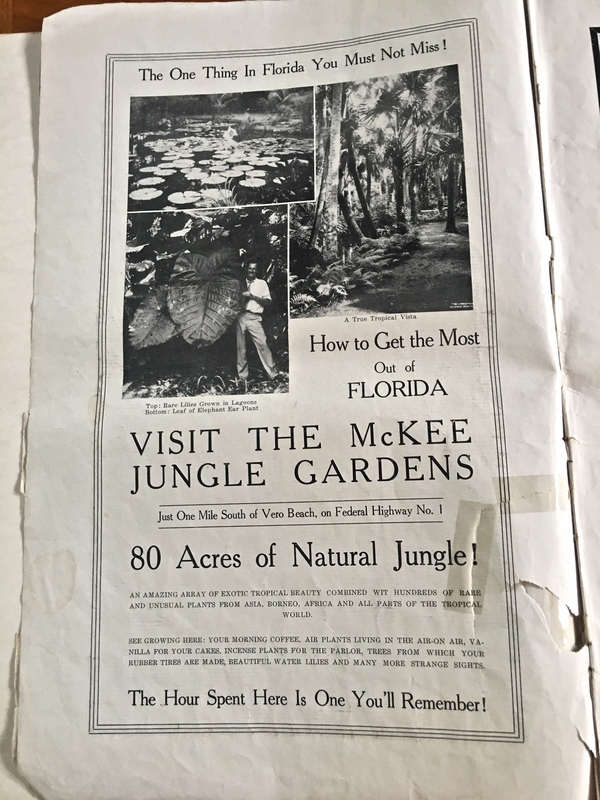 Photo of McKee Jungle Garden ad, The Stuart Daily News, 1937, courtesy Knight A. Kiplinger. 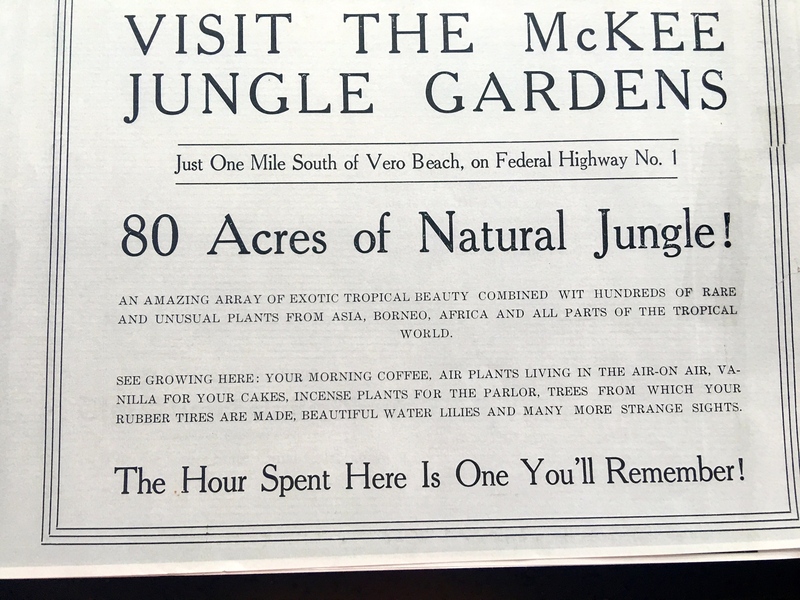 I remember towering magnificent palms; a mammoth-sized cypress tree trunk that looked like it came from the age of the dinosaurs; interesting rustic structures that matched the mood of the tropical paradise; beautiful giant lilies floating in shallow ponds reflecting purple and greens like a Monet painting; a gigantic, long, mahogany table; as well as my favorite thing to see at the time, monkeys, parrots, and other animals! 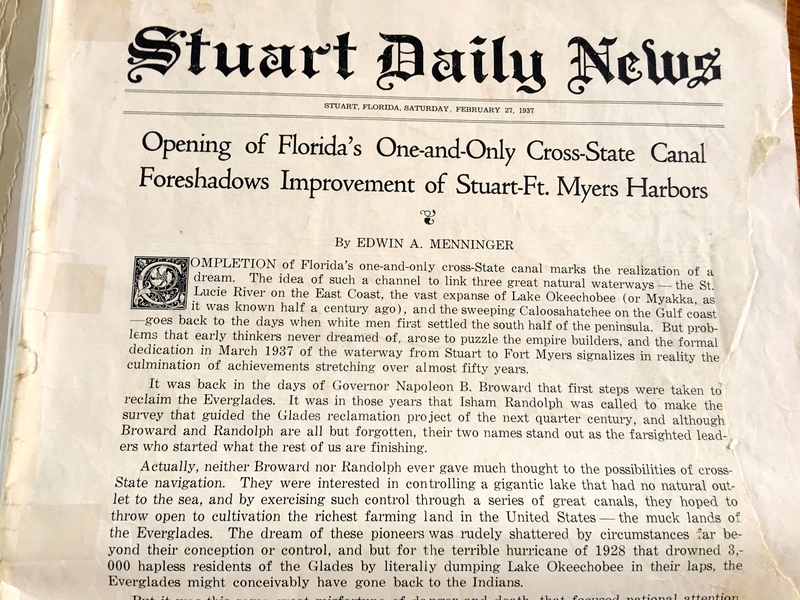 Perusing page 4 of the 1937 Stuart Daily News, celebrating the opening of the Cross State Canal from Stuart to Ft Meyers, featuring McKee brings back happy memories for me. 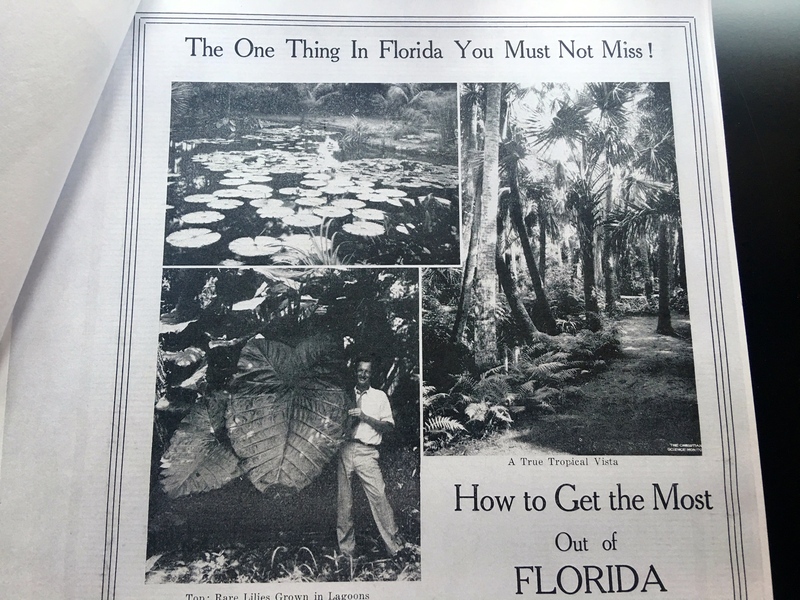 About three years ago, I visited the new McKee Botanical Gardens and the magic is still there! 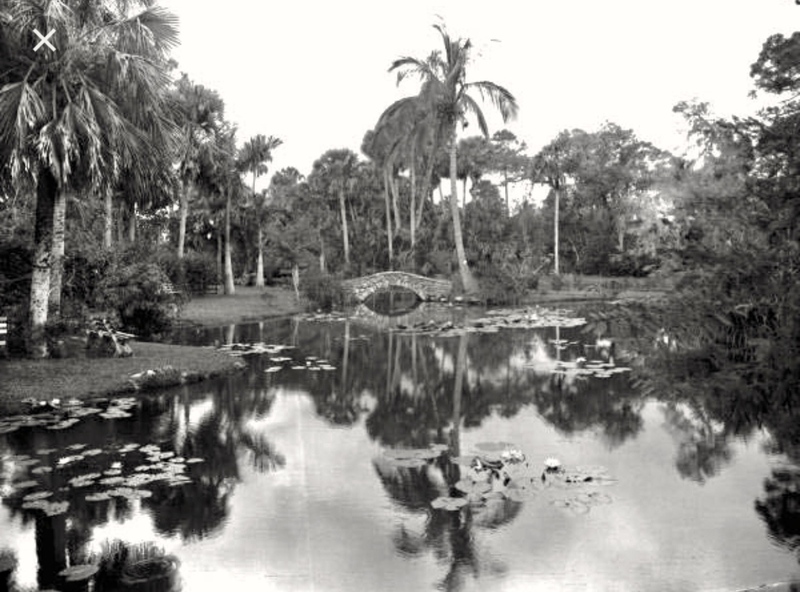 I find Florida’s old-time famed gardens so much more appealing than today’s focus on boring “floratam lawns and perfectly manicured hedges.” Today or yesterday, showcasing Florida’s tropical beauty is Florida at its best! 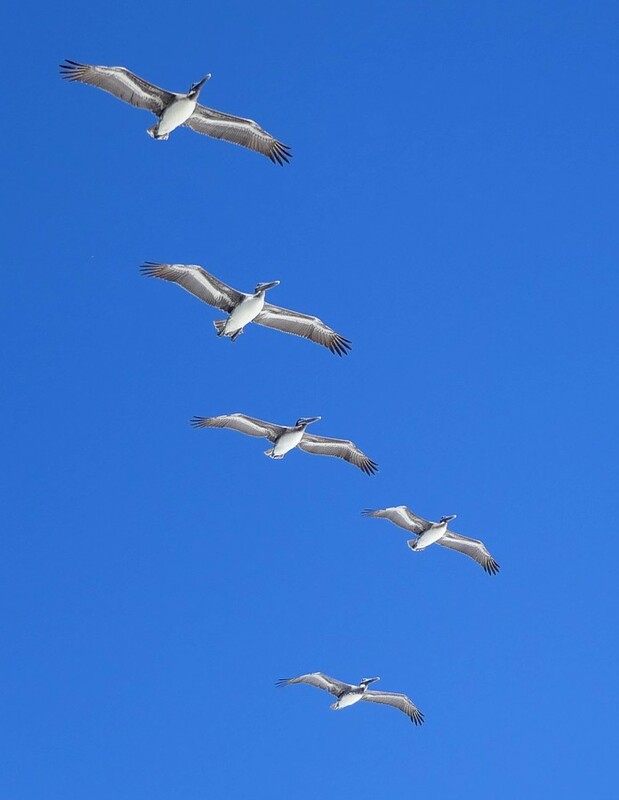 There are five ads on the page. 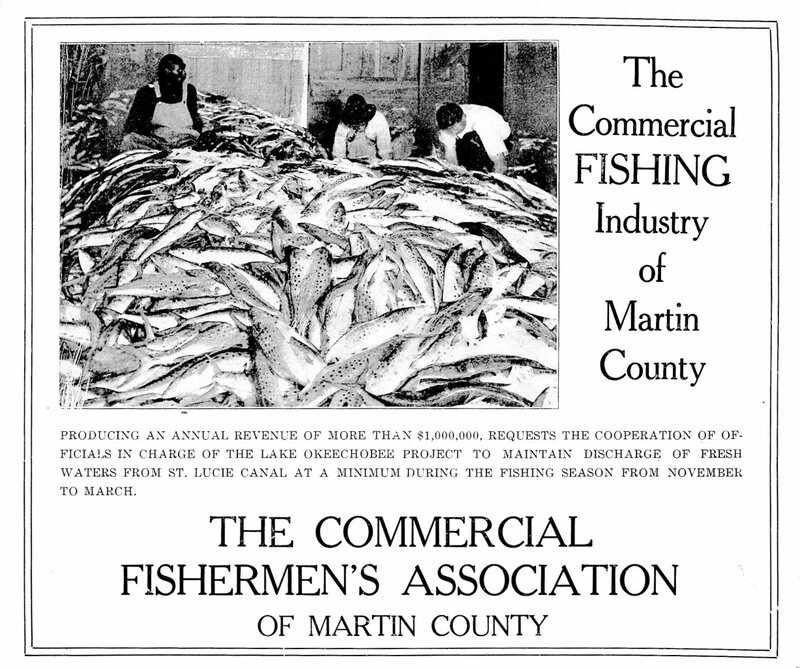 Each one is a peek into history, and for me the final ad from the commercial fishing industry is the most interesting! 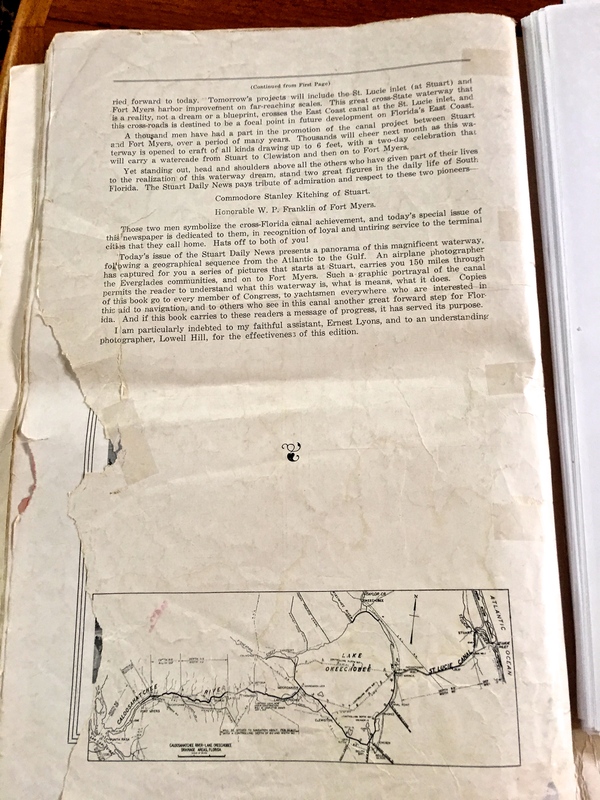 But first, let’s look at the left hand top of the page. 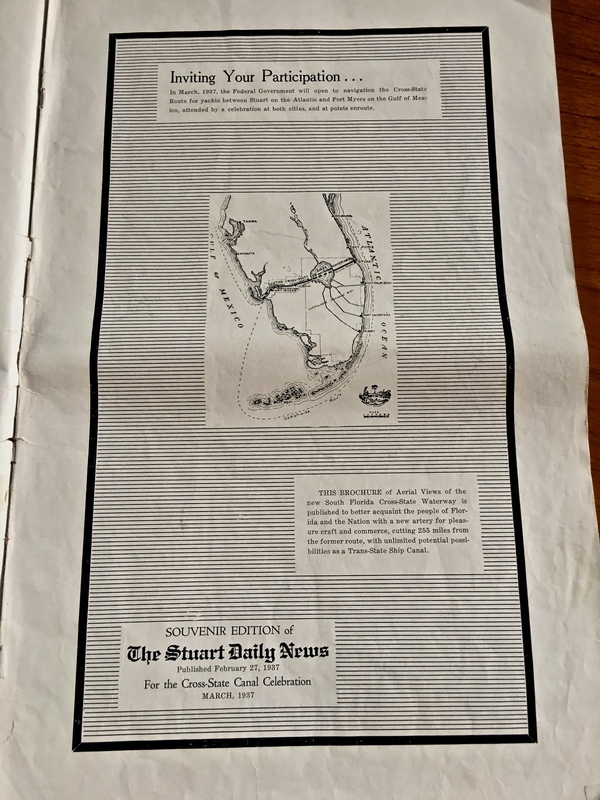 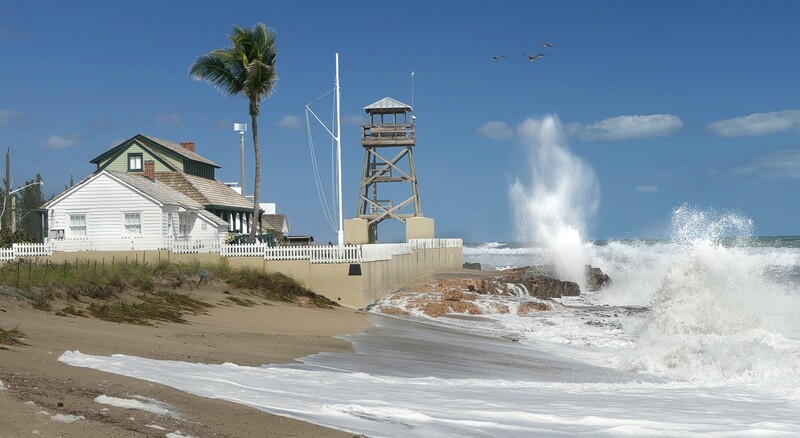 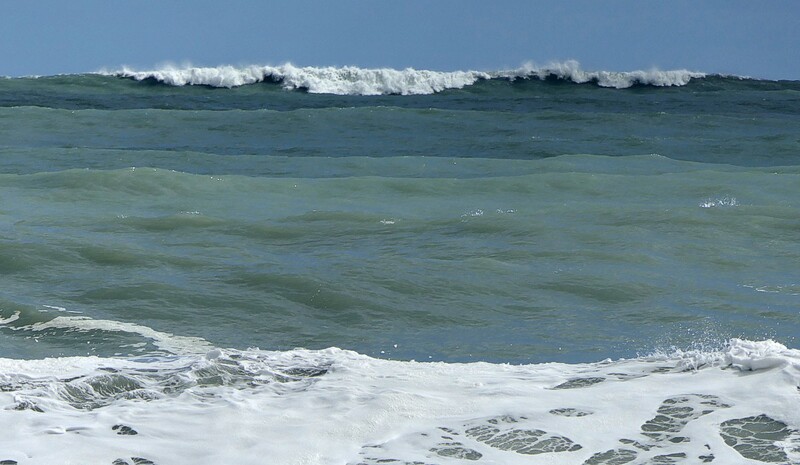 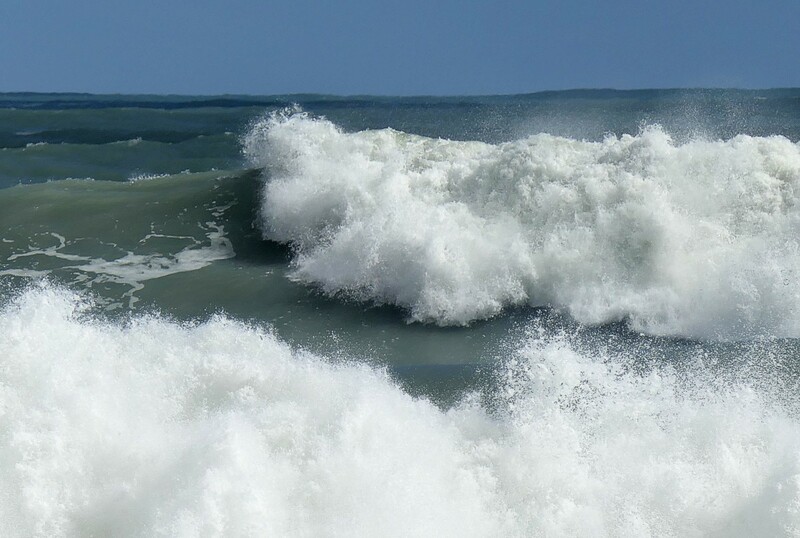 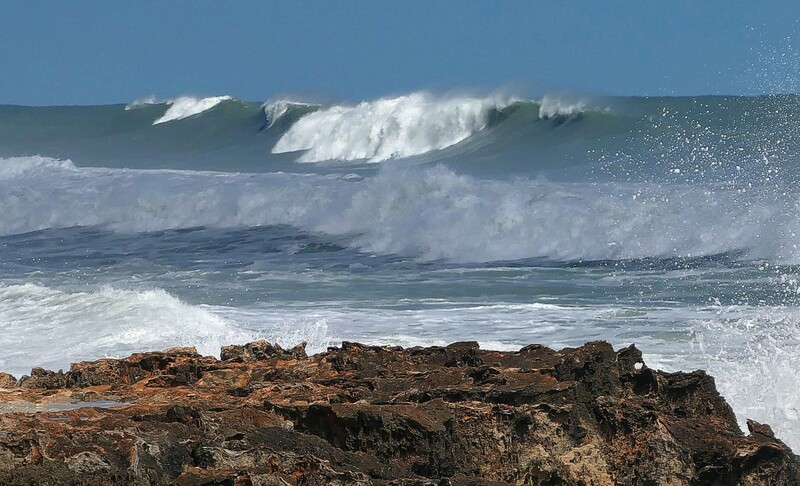 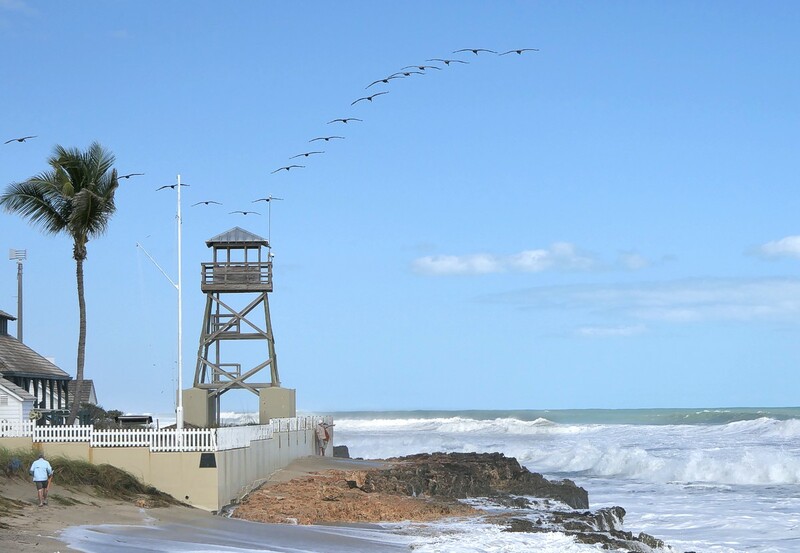 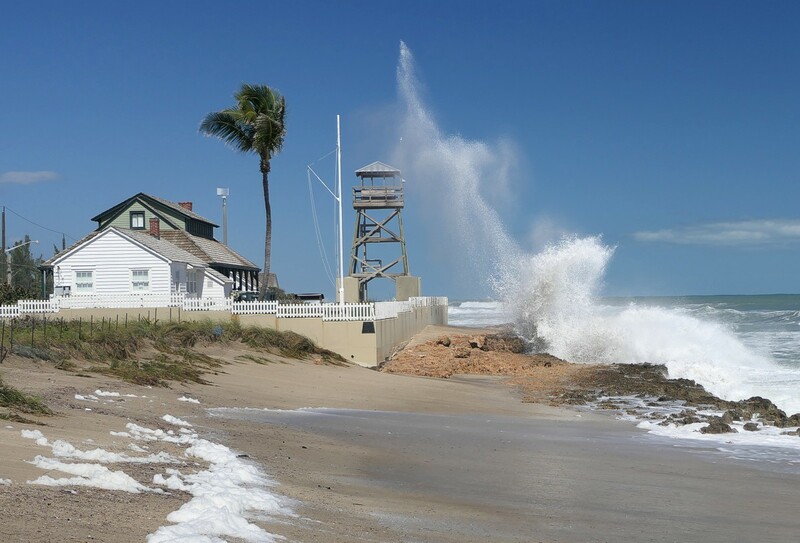 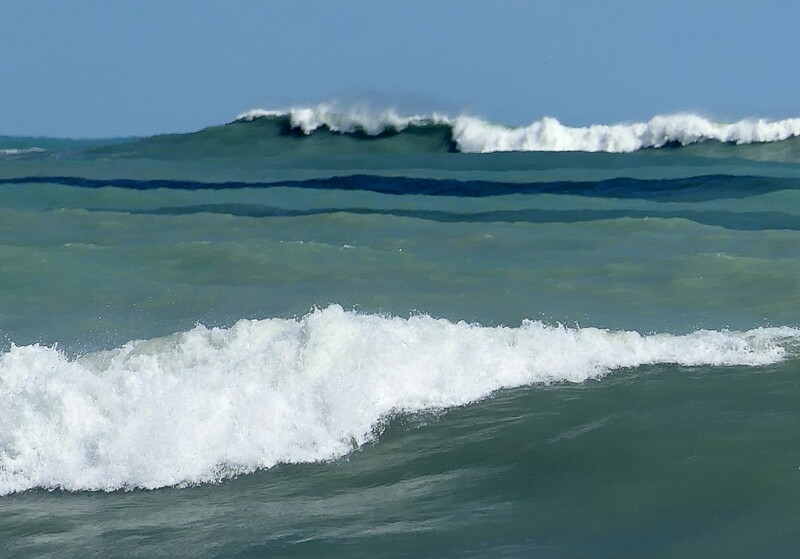 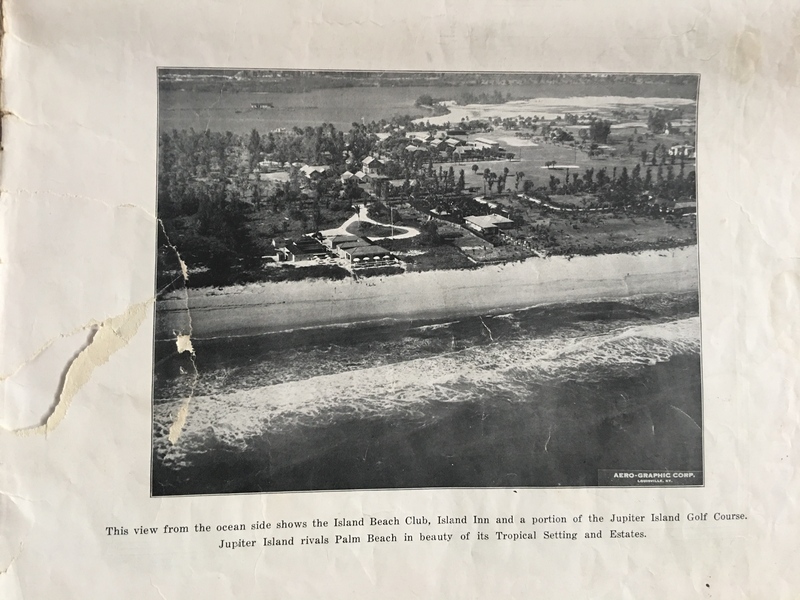 The concerns of Stuart’s nationally recognized and often President-visited waters are well documented in my mother Sandra Henderson Thurlow’s book Stuart on the St Lucie. 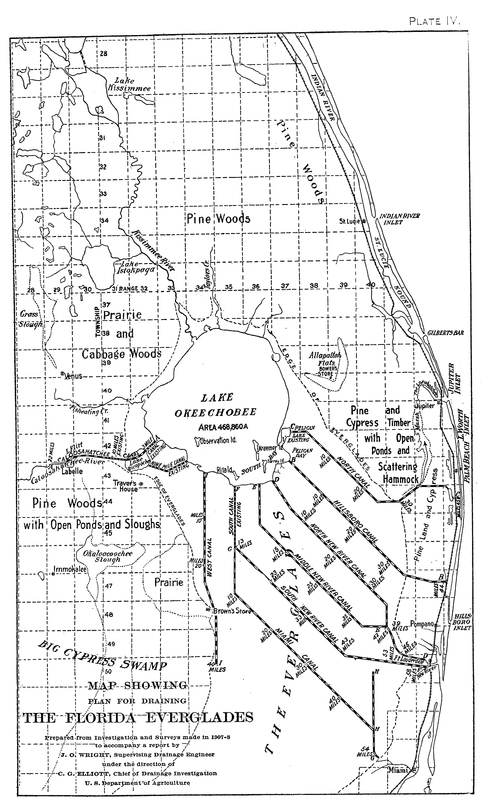 Nonetheless, I never knew that from approximately 1924 to 1937 the St Lucie canal, today’s C-44, was the only outlet for Lake O. Yikes! 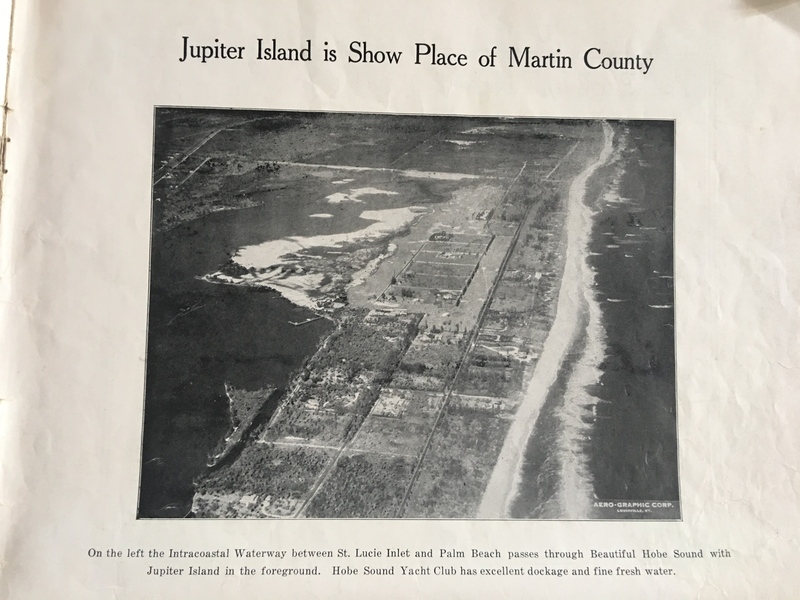 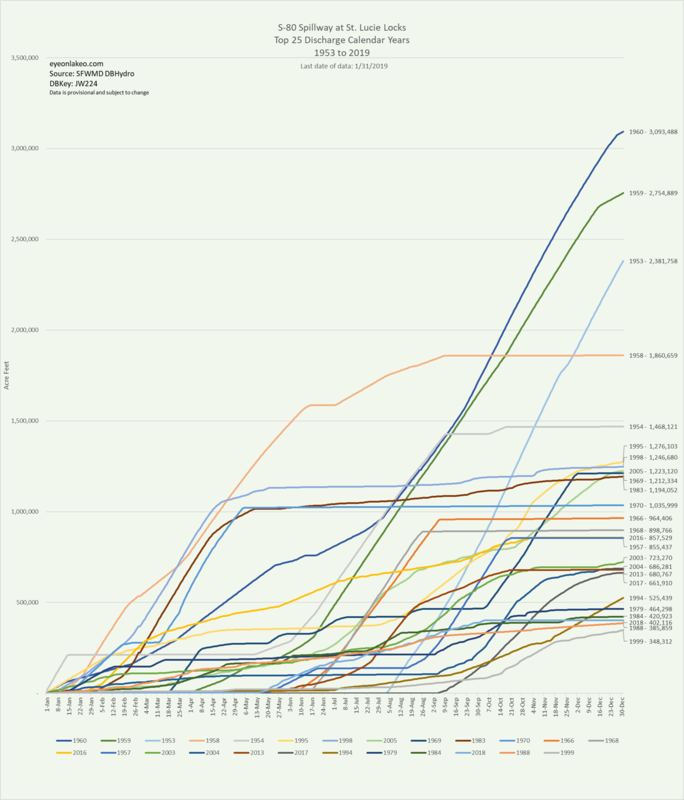 The wonderful thing about history is that there is always something to learn!